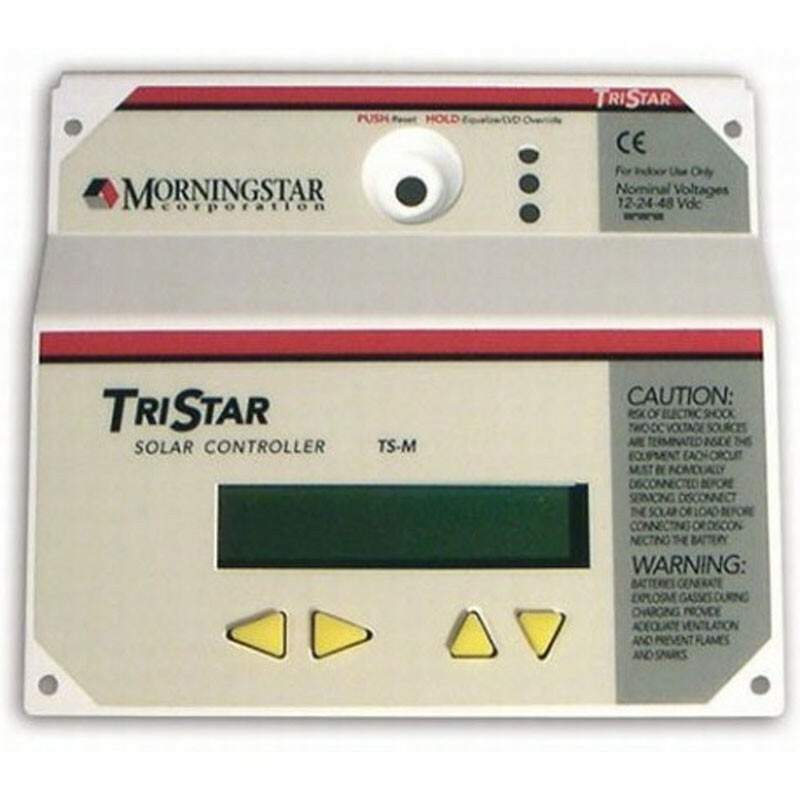 The TS-M-2 Digital Remote Meter is an advanced technology digital meter that can be used with all TriStar and TriStar MPPT charge controllers. The digital meter has 2 16-character LCD lines that display system and charge controller information, a bar graph, recorded data, as well as alarms and faults for easy troubleshooting. The information can be displayed in several languages ​​(English, French, German ...). In a system with multiple controllers, digital meters can be used in a network with the specific terminal block that retrieves individual data and global system data for display on a single meter. The individual data of 14 controllers can be viewed on the screen, if it works with the MerterHub. It compiles the system data to show the amount of current produced and consumed, the state of charge and discharge of the battery.